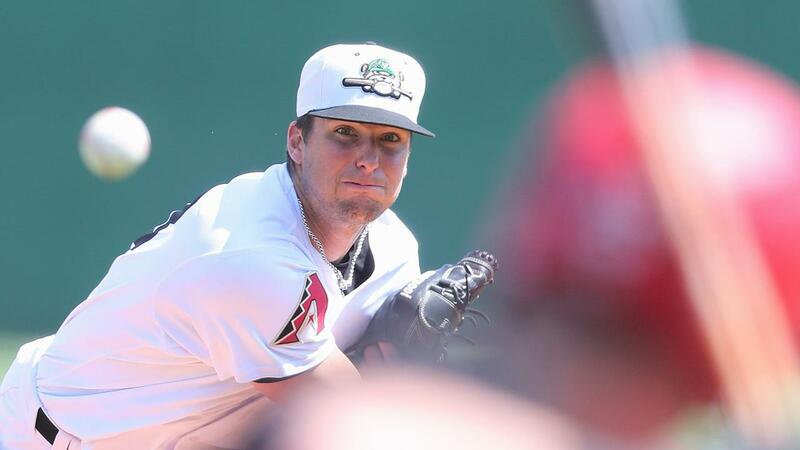 JACKSON, Tenn. - The Jackson Generals, the Double-A affiliate of the Arizona Diamondbacks, ran into the strong right arm of Biloxi's Braden Webb on Tuesday night, going hitless through the first six innings of a 7-0 defeat at The Ballpark at Jackson. The Game 1 loss in the BC Powder ® Southern League Championship Series is the first series-opening loss for the Generals since August 19 at Tennessee and their first shutout loss since August 26 at Birmingham. Webb (1-0, 0.00 ERA), the Milwaukee Brewers' minor league pitcher of the month in August, made his postseason debut by throwing six shutout innings without allowing Jackson to record a hit. The Generals put runners on base with walks in the first, second, and seventh innings before a Domingo Leyba double into the right field corner finally sent Webb packing at 100 pitches. Webb struck out seven and walked three, giving way to reliever Jeff Ames with two men in scoring position and no outs. Ames proceeded to retire the next three Generals in order with a pair of strikeouts and a come-backer groundout, maintaining the shutout. Ben DeLuzio's infield single to lead off the ninth inning registered as the only other Jackson hit in a lackluster offensive performance. The Generals entered the SLCS after batting .298 and scoring 28 runs against Montgomery in the North Division Series, but they went silent against a pitching staff that brought the league's best regular season ERA (3.47) and playoff ERA (2.31) to the table. The tale of the tape for Generals right-hander Taylor Widener (0-1, 7.20 ERA) showed a rough first inning in which the first three men all reached base, as Biloxi scored on consecutive doubles by Troy Stokes Jr. and Trent Grisham. However, Widener straightened out and put away 13 hitters in a row to hold the margin at 2-0 through five innings. The first four Biloxi batters in the fateful sixth all reached base safely, with a two-run double by Lucas Erceg tearing the bandage off the Generals' wound. Widener gave way to Sam Lewis, who retired the next three hitters to sew up the inning. Jared Miller and Tyler Mark gave up a pair of runs in the later innings, as the Generals' playoff ERA climbed to 4.92. A high-powered pitching matchup will highlight Wednesday's Game 2, featuring Arizona Diamondbacks No.1 prospect Jon Duplantier and Milwaukee Brewers No. 8 prospect Zack Brown. The Generals will go for the victory in their 2018 home finale with the hope of earning a split of the series' first two games that would guarantee a Saturday contest at Biloxi. The final three games of the SLCS will all be played Friday through Sunday at MGM Park in Biloxi. Thursday is a scheduled travel date.